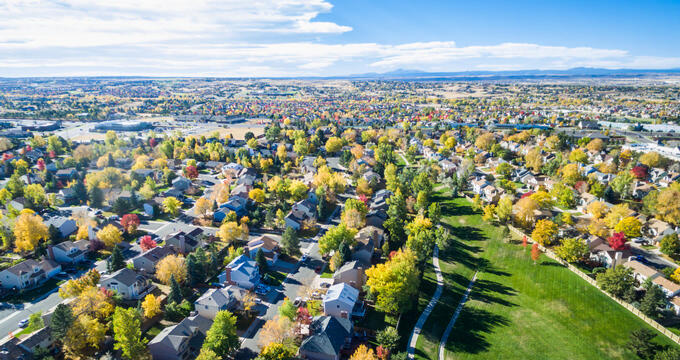 Aurora is one of Colorado’s most vibrant and energetic cities as the destination is filled with unique attractions and one-of-a-kind activities. As a gateway to the Rockies, you can enjoy several laid-back adventures and day trips during your visit. 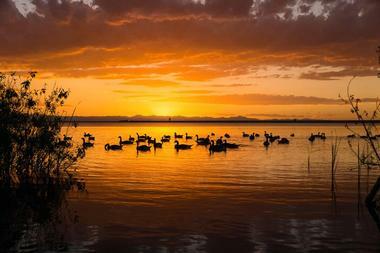 Enjoy fresh air in the beautiful outdoors at Cherry Creek State Park also known as “Denver’s spacious backyard playground”. There’s so much to see and enjoy in the park which surrounds an 880-acre reservoir. The natural prairie environment is action packed in the summer and laid back and quiet in the fall. During your visit there you can enjoy in activities such as hiking, camping, picnicking, horseback riding, model airplane flying, or having fun at the family shooting range. Other features and amenities include a designated picnic area, a boat ramp, walking trails, and campgrounds. A modern Main Street in the heart of southeast Aurora, Southlands is a hub for fashion, dining, and entertainment. 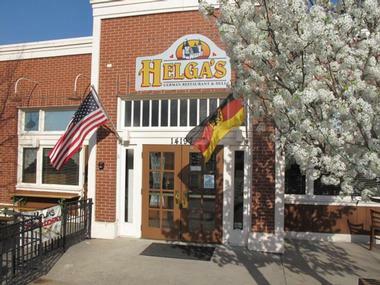 It’s a wonderful place to gather with friends and family as the atmosphere is charming, comfortable, and convenient. 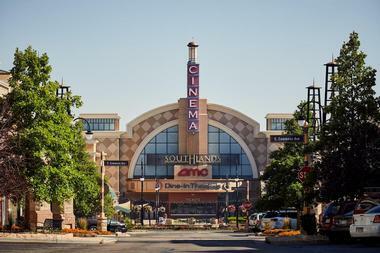 The centerpiece of the area is the Southlands outdoor lifestyle center and it’s surrounded by a community plaza, Main Street, a state-of-the-art health club facility, a theatre, restaurants, entertainment venues, and retail stores. Some of the stores and restaurants there are H&M, Barnes & Noble, American Eagle, Eddie Bauer, Charming Charlie, Best Buy, Ted’s Montana Grill, and Tokyo Joe’s. The Aurora Reservoir spans over 31,000 acres and has three coves: Senac, Lone Tree, and Marina. 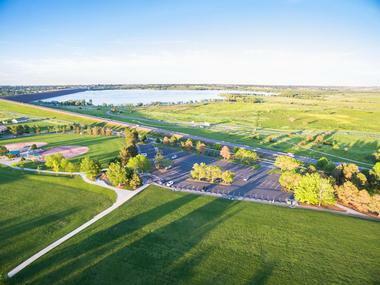 In addition to being a recreational area and stunning green space, the reservoir and its surroundings also provides drinking water to the city of Aurora. There are many things that you can do while you’re there such as jogging, hiking, biking, boating, and, fishing - anglers often head there to catch catfish, trout, or walleye. Visitors are invited to go swimming in the small seasonal swim beach or enjoy scuba diving in the designated diving area. Other features and amenities include a boat dock and a rental equipment shack. A part of the Library and Cultural Services Department, the Aurora History Museum was established in 1979. Though it has moved out of the original building it was housed in, the museum continues to display a large collection of artifacts and documents. 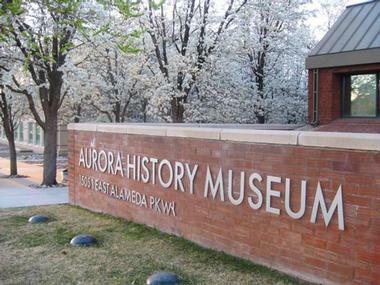 These exhibits showcase the people and events that shaped the history of Aurora and Colorado. There are several rotating exhibits which highlight different aspects of the city such as Drink Local: Aurora’s Craft Beer Scene which is an exhibition that showcases the history of craft beer in the area whilst inviting current companies from the brewing industry to participate. The Vintage Theater came to be as a group of friends discussed their love for the arts over martinis in 2002. Within a few years they bought a lovely theater and their company grew, providing a haven for the community to enjoy cutting-edge theatre, improv, staged readings, workshops, classes, and more. The theatre has three performance spaces: the 145-seat Jeffrey Nickelson Auditorium, the 67-seat Bond Trimble Theatre, and the 60-seat lobby-raised stage. All of the areas provide a full bar service and are sound proofed and temperature controlled. Visitors can enjoy performances throughout the year; one of their most popular productions, Rabbit Hole (2016), received the Henry Award for Best Production. The Plains Conservation Center is a state-designated natural area and outdoor education facility that was created in 1949. With the goal of conserving the state’s prairies, the center is also a wonderful place for people to learn about conservation efforts and Colorado’s eco-history. There are two sites of significance there: the Aurora site and the West Bijou site. 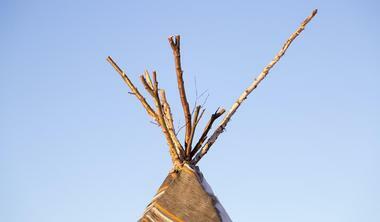 The Aurora site includes a historic barn, blacksmith shop, and schoolhouse in addition to a recreated Cheyenne camp with tipis. The West Bijou site is the place of the Cretaceous-Paleogene extinction event which led to the extinction of dinosaurs. Visitors can see all this and more as they explore the center. Arapahoe Park is a horse-racing track that is known to host Arabian horse, Paint Horse, Quarter Horse, and Thoroughbred horse racing. 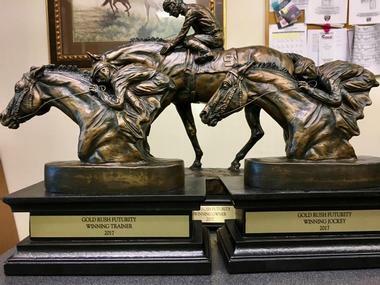 The racing season usually goes between mid-May into mid-August and the track is home to famed races such as the Mile High Derby and the Mile High Futurity. It’s a fun place to spend the day even if you don’t gamble on horse races as the atmosphere is so exciting and lively. As you watch the horses, you can sit, talk with friends, have a drink, and enjoy a delicious meal. Amenities include plenty of free parking, bars and concessions stands on the Grandstand level and third and fourth floor. 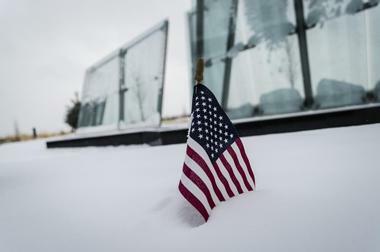 The Colorado Freedom Memorial is the very first memorial in the United States that is dedicated to Coloradans who have lost their lives in any and all branches of service and in all wars. The glass and granite structure is 12 feet high and spans 95 feet across. The glass panels are placed in a manner which reflects the blue skies and towering mountains which surround it. The memorial holds the names of over 6,000 people who were killed or missing in action. You can see the names grouped by war but not in alphabetical order - a reflection of the true chaos of war. 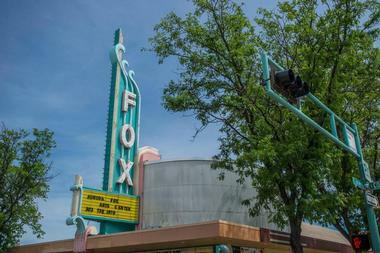 Situated amidst the Aurora Cultural Arts District, the Aurora Fox Arts Center is the place to go when you’re in the mood to enjoy a professional, Broadway-quality production. The 245-seat performing arts facility opened in 1985; it is housed in a completely renovated former movie theatre that was originally built in 1946. The intimate performance space is a fun and lively way to spend the evening and makes for a great date night with your significant other. 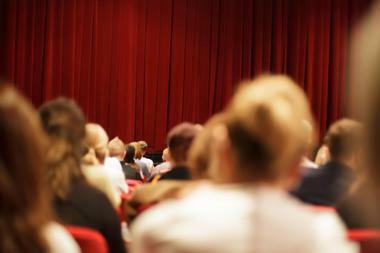 In addition to the performance space, the arts center also has an attached rehearsal space and scenery shop facilities. The Quincy Reservoir is open seasonally, usually from March to November. The 160-acre body of water is a popular place for friends and family to hang out on a hot summer day. Anglers come from all over to catch their fair share of largemouth bass, trout, crappie, and perch - though it should be noted that fishing is only allowed with artificial lures and flies. There are several designated picnic areas along the shoreline and a trail that’s perfect for a nice walk while exploring the flora and fauna of the area. Additional features include a fishing dock, a boat launch, and a boat rental company. Monsoon Cuisine of India is a wonderful restaurant that serves authentic foods which reflect the many flavors in the country. The eatery remains faithful to its Indian roots and embraces age old cooking techniques which add a different dimension to the dishes. Using a tandoor oven powered by mesquite charcoal flames, they add a distinct smoky flavor to many of its popular dishes such as the roasted chicken, salmon, and famous naan flatbread. The fragrant meals often include a combination of onions, garlic, and ginger along with the spices that make Indian food so unique to other cuisines. Try delicious foods such as their tandoori wings, salmon tikka, lamb curry, and vegetable biryani. Sam’s No. 3 is one of the best diners in town made famous by their extensive menu which has over a hundred breakfast, lunch, and dinner options. Pretty much everything is delicious which is why people always go to Sam’s when they’re in the mood for a filling meal that will hit the spot. Try popular items such as their Coney Island Breakfast which is a ½ lb. burger patty smothered in Sam’s No. 3 Red Chili, the Greek omelet with feta and tzatziki sauce, and the Kitchen Sink Skillet with ham, sausage, bacon, gyro meat, bell peppers, onions, and tomatoes while being smothered with their Kickin’ Pork Green Chili. The Bent Fork American Grill is a locally owned independent restaurant that has a diverse offering of traditional dishes. All of their meals are fresh, flavorful, and inventive, which is why they’ve won so many awards over the years. All of their soups, dressings, sauces, and marinades are homemade and use recipes which have been tried and tested over the years. Popular items on their menu are the New Mexico ribeye, the crispy tofu tacos, the Rocky Mountain style salmon, and the lobster mac & cheese. 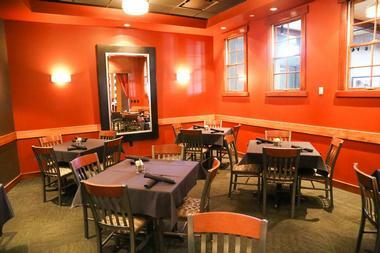 Combine your meal with one of their delicious handcrafted martinis or a glass of wine from their eclectic list.